On Wednesday morning Peggy Kirk Bell, our tour matriarch, was named to the World Golf Hall of Fame. Bell will earn this prestigious honor alongside a class that includes Retief Goosen, Jan Stephenson, Billy Payne and Dennis Walters. Bell played collegiate golf at Rollins College where she was a standout star. 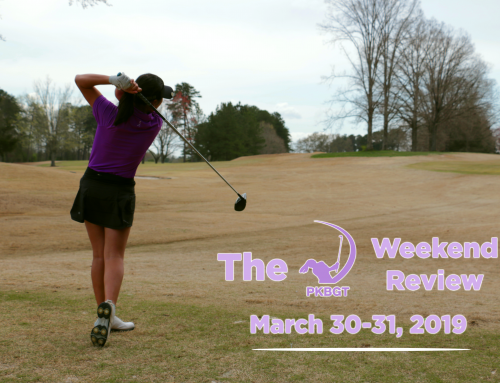 She began her post-collegiate career on the ladies amateur tour before there was a professional women’s tour. 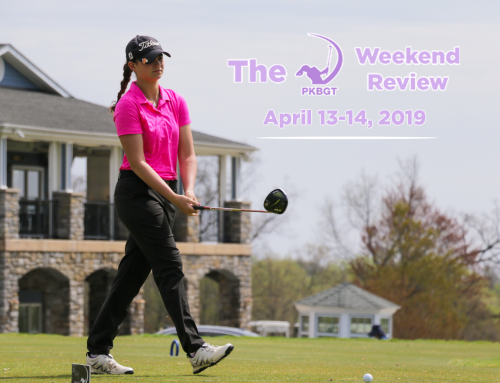 She won three Ohio Women’s Amateur championships in her time as an amateur golfer. Peggy won the North and South Women’s Amateur held at Pinehurst Resort in 1949 and was part of a Curtis Cup team that won the championship in 1950. That same year Bell became a founding member of the LPGA, the first women’s professional golf association. The following year she won the 1951 Augusta Titleholders Championship, which would later be determined an LPGA major championship. In addition, Peggy Kirk Bell was the first tour professional, male or female, to fly herself on her own plane to a professional golf tournament! 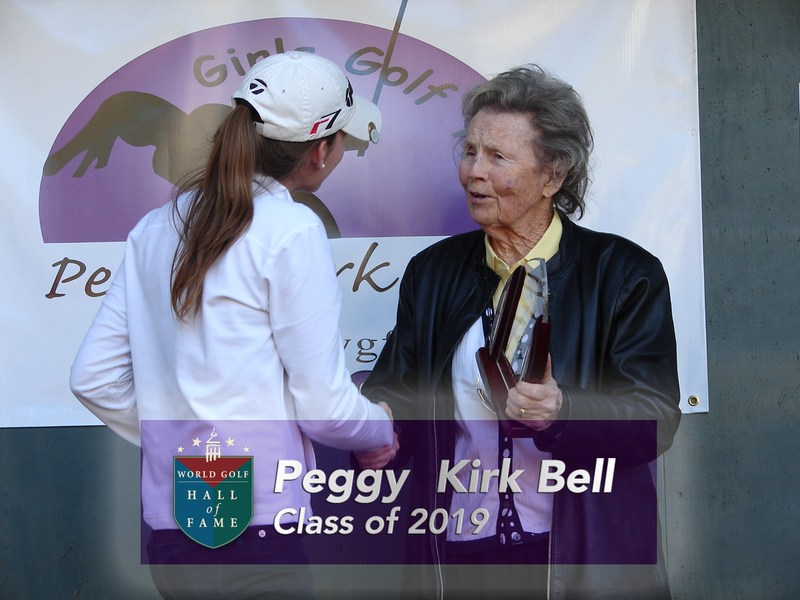 Following her stellar playing career, Peggy Kirk Bell dedicated her life to helping young girls learn about golf and develop their swings to improve their game. 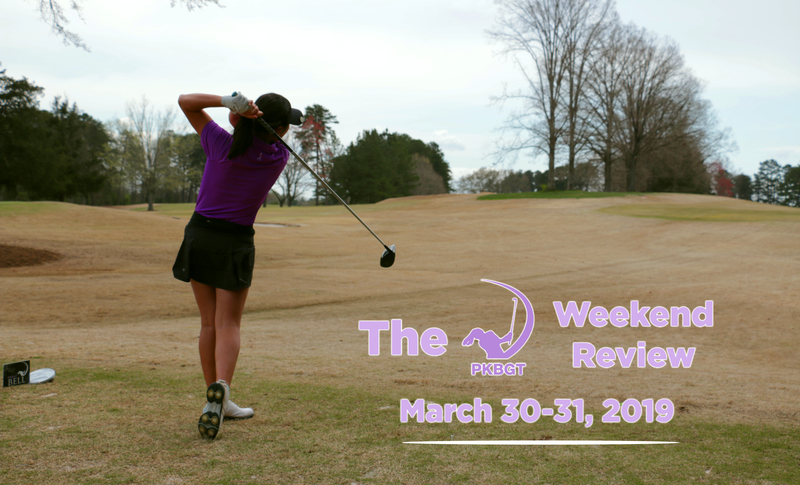 After she started one of the country’s first golf schools at her course Pine Needles, she began running five-day group lessons she called “Golfaris” for women to learn the game. More than 20,000 women have gone through these programs. 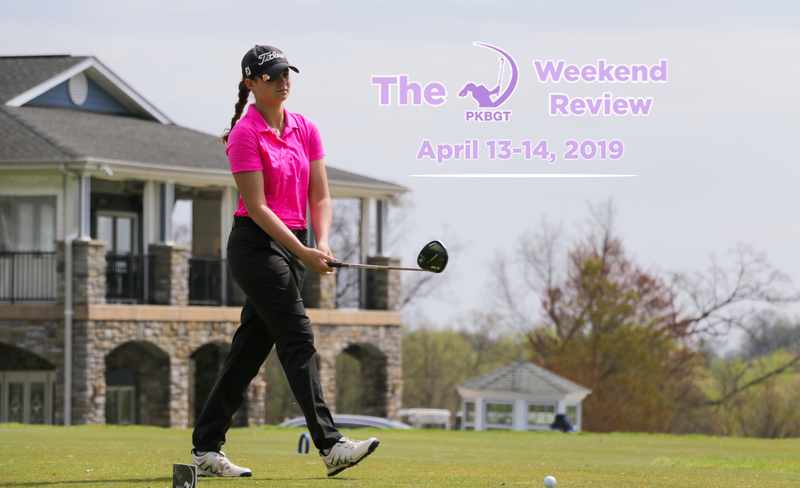 In doing so she received several prominent awards including the Bob Jones Award, the highest honor handed out by the USGA which recognizes an individual who demonstrates the spirit, personal character and respect for the game. She also won the PGA of America’s First Lady of Golf award. She was the first women voted into the World Golf Teachers Hall of Fame in 2002. 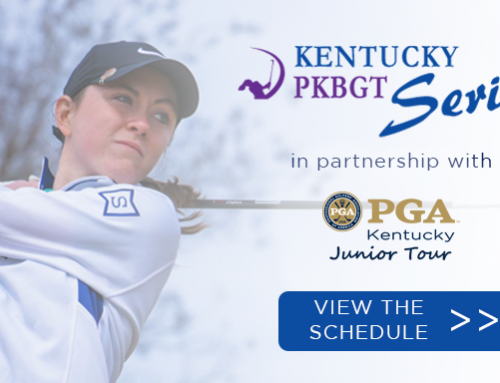 In 2008, Peggy Kirk Bell was brought on to the Triad Youth Golf Foundation’s local girls’ golf tour as the honorary chairwomen. 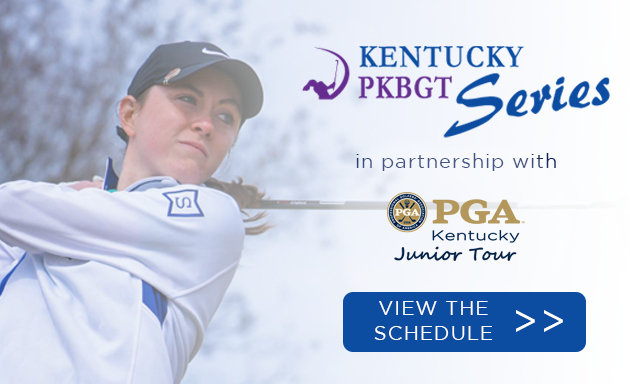 The tour was officially renamed the Peggy Kirk Bell Girls’ Golf Tour. 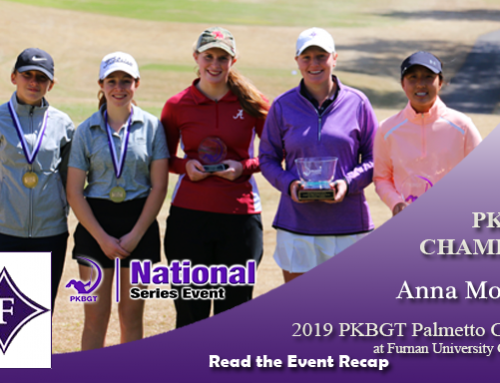 With Bell’s name attached to the tour, it expanded into a year-round schedule including the addition of multi-day events and expansion into all parts of North Carolina, South Carolina and Virginia. Bell helped form the tour into what it is today, and was crucial in the hands-on development of the girls who participated in the early stages of the tour. 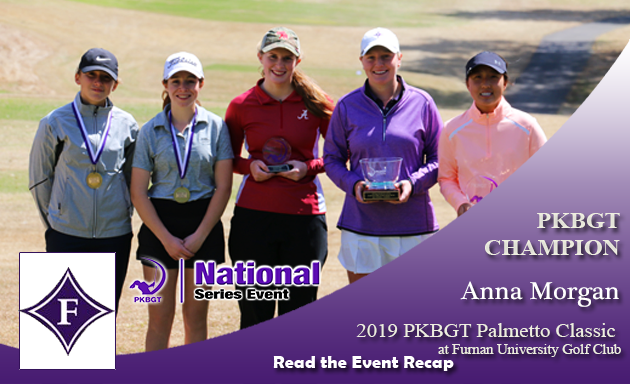 Prior to her passing in 2016, you could find Bell at a number of PKBGT events interacting with the girls and giving advice they could take with them beyond the game of golf. 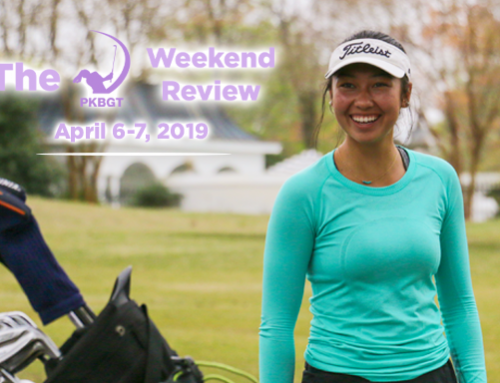 The tour’s focus on providing a platform for developmental golfers to experience tournament golf atmosphere goes back to Bell’s philosophy that all girls, no matter their skill level, should have an equal opportunity to play golf. The induction ceremony for the World Golf Hall of Fame Class of 2019 will be held in June during the week of the U.S. Open at Pebble Beach. A well deserved honor. 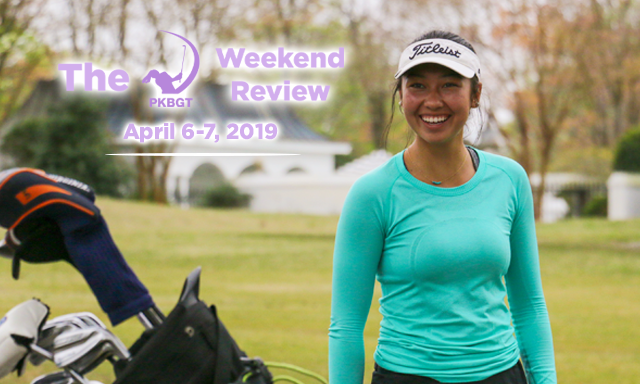 Mrs. Bell dedicated most of her life to getting more women on the golf course and was a key contributor to the growth we are seeing on the women’s side today. We strive to carry on her trailblazing spirit each and every day by continuing the tour’s mission to create opportunities for young girls!